With smartphone use soaring, mobile marketing offers an almost guaranteed way for small-business owners to attract more customers — and more sales. Calvin Klein has a reputation of pushing it in their advertising and so I’m always curious to follow them to see what they are up to. 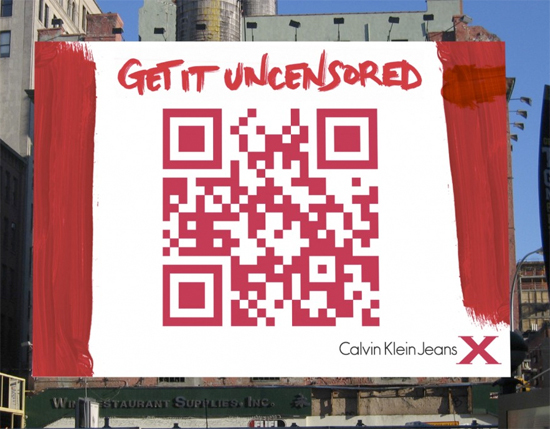 A couple weeks ago Calvin Klein replaced some of its billboards (in NY and LA), not with controversial or racy imagery, but with a giant QR code with the tease to “Get it Uncensored”.